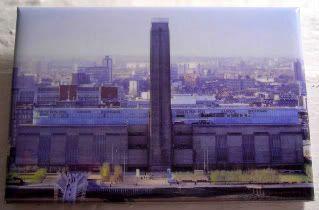 So, no offense to the Tate Modern, but I got caught asleep there. Twice. In an hour. Once sitting on the bench. And the other standing up in front of a room full of propaganda poster art. But, I picked this for today, because on yesterday's plane ride down to Tampa, I watched a Brit docu called The Human Footprint. I’m not going to lie, the only reason I downloaded it was because there’s nothing more pleasant than listening to David Tennant talking in my ear. He has the best narrative voice, it’s just lovely. But what I got was the best documentary I’ve seen – in all my life. My youngest sister is fondly dubbed, SaveTheWorldSister, for her Project Vote Smart and Peace Corps stints, her frequent boycotts of Shell and other evildoing global corps, her graduate degree course studies in Sustainable Development, and her bemoaning about the wastefulness of the First World. She’s not a granola nazi, thank God, but she definitely makes me want to be a better environmentally-conscious human. I’ll tell ya. If her chiding over the years hadn’t already started me down that road, this Human Footprint docu certainly does the trick. For sure, I've been quoting every fact and figure running through my brain. But the production itself is just made of awesome. It sets out to show you what the footprint of the average Brit has on the Earth over the course of his/her lifetime. The operative word there being SHOW. When you watch this, you'll see why the Tate Modern magnet totally works for this. It's totally bizarre. They take a little boy and a girl, and who set off on a wonderland of facts and figures, brought to life. From the amount of food that we consume (dudes, Brits eat a freakin’ bathtub of Heinz baked beans in their lives and that we eat 1,200 chickens and four head of cattle, more, I’m sure, if you’re an American) to the amount of waste we humans produce (literally, a hail of crap in a field – gross, gross, gross!) to the amount of gas we humans produce (dudes, you thought the little girl swimming in the beans was gross? They took all the human-produced gas and LIT IT UP in a field). And that’s just what goes on with our bodies. You see my TV Dance Card at the bottom of this blog. I can only IMAGINE how much my own tv watching amounts to. Definitely check out this documentary, (here's a couple of screenshots), it will make you think twice about your actions here on Earth. Lord. Just call me Al again.